At 43, time was running out for Natalie Lovett. A series of failed relationships and a demanding career meant her chances to have a child were rapidly diminishing. Instead of waiting for life to meet her needs, she decided to go it alone. After numerous unsuccessful IVF attempts, Natalie was given devastating news: she could not carry her own biological child. Undeterred, she discovered egg donation. At the age of 46, she miraculously gave birth to her precious daughter, Lexie. 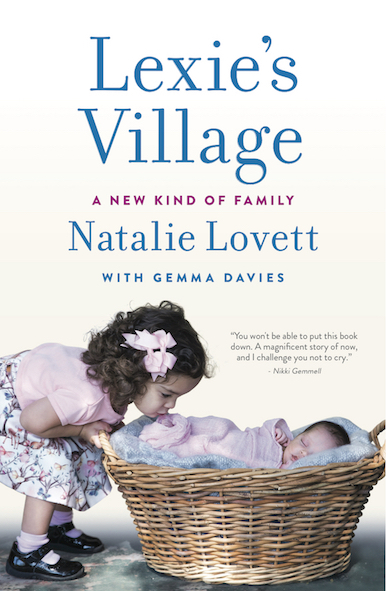 In Lexie’s Village: A New Kind of Family, Natalie shares her deeply personal mission to provide siblings for her daughter. By donating her unused embryos to other childless parents, she hoped to make their dreams come true. But by stipulating that they and their resulting children stay in touch, Natalie also created a family for her daughter and Lexie’s Village was born.